Caption slip reads: "Photographer: McCarty. Reporter: Ostler. Assignment: San Fernando Christmas posada. 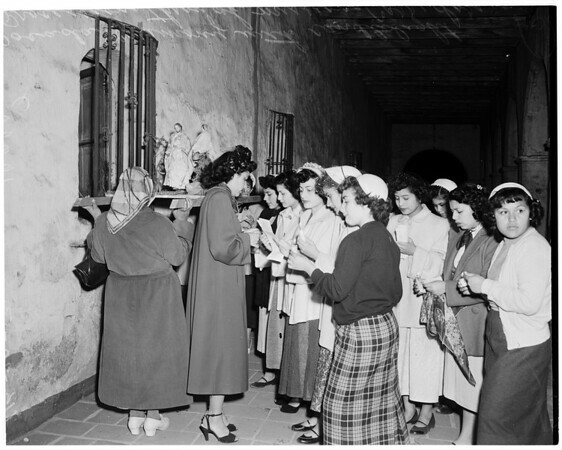 41-42L Posada ceremony with candlelight procession through mission corridors. 43-44: Blindfolded youngster, Dana Dentzel, 3, attempts to break pinata, an old Mexican Christmas custom. 45: Children scampering for the goodies spilled from broken pinata."